Add some color to your next coding project with our new Halo board for the BBC micro:bit. The Halo has 24 ZIP LEDs, which are individually addressable full-color LEDs. This means that each LED can display a huge spectrum of colors, allowing amazing colorful effects to be achieved. 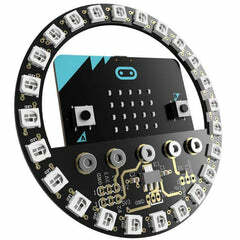 The Halo bolts directly onto the BBC micro:bit using five bolts which are secure and robust. The board also has extension connector pads (0.1 pitch) allowing more ZIP LEDs to be connected. 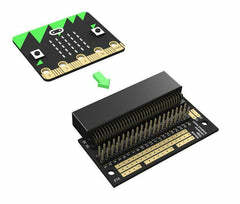 The P1 and P2 micro:bit pins are also broken out to 0.1" pads along with power and GND. 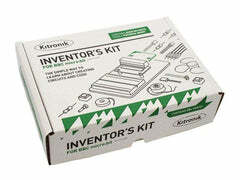 This allows for additional connections to low power components such as sensors and switches. The Halo takes a supply voltage of 3.5V-5V and provides a regulated power supply to BBC micro:bit. Power can be connected using the JST input using the 3xAAA battery holder, or LiPo battery, or JST lead. Alternatively, you can solder a power supply directly to the solder pads on the PCB. Halo has 24 individually addressable ZIP LEDs. Compatible with Adafruit NeoPixel and other WS2812B driver code. Supply voltage: 3.5V to 5V. Halo bolts directly onto the BBC micro:bit. The board also has extension connector pads. 1 x Halo for the BBC micro:bit.